The Lyndon B. Johnson Presidential Dollar will represent the fourth and final release of the Presidential $1 Coin Program for the year 2015. This will represent the thirty-sixth release for the program overall. Lyndon B. Johnson or “LBJ” served six years in the House of Representatives followed by twelve years in the Senate. He became the vice president under John F. Kennedy and succeeded the Presidency after Kennedy’s assassination. After completing Kennedy’s term, he was elected President in his own right in the 1964 election. 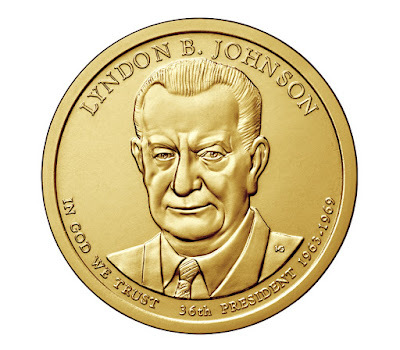 The obverse design of the Lyndon B. Johnson Dollar features a portrait by Michael Guadioso with the inscriptions “Lyndon B. Johnson”, “In God We Trust”, “36th President”, and “1963-1969″. 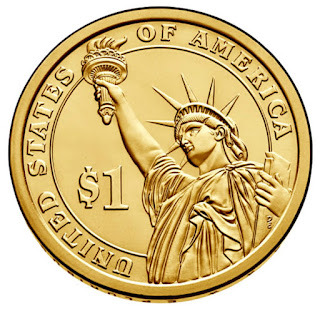 The reverse design by Don Everhart features an image of the Statue of Liberty with inscriptions “United States” and “$1″. This reverse design has been used in common through all issues of the program. 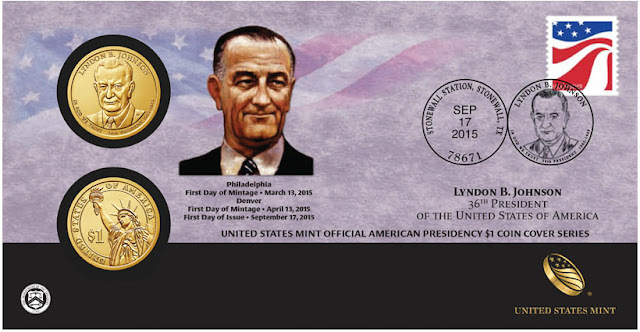 Incused edge lettering includes the date, mint mark, and motto “E Pluribus Unum”. Following the decision of the Treasury Department made in late 2011, the Lyndon B. Johnson Presidential Dollars are not expected to be released for general circulation. 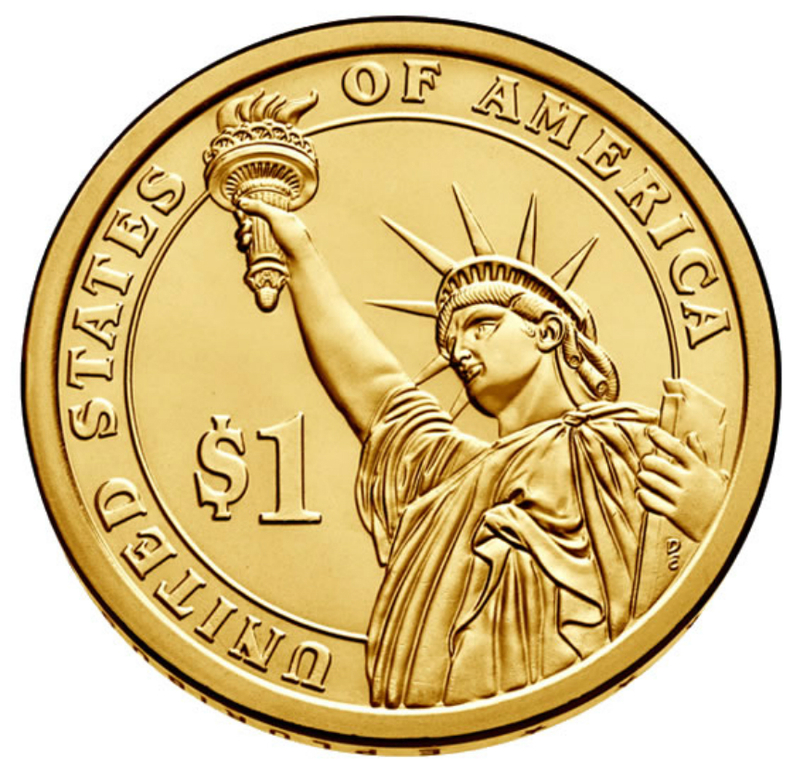 Rather the coins will only be available within numismatic products offered by the United States Mint. In August 2015, the Mint will offer circulating quality versions of the coins from the Philadelphia and Denver Mint facilities packaged into 25-coin rolls, 100-coin bags, and 250-coin boxes. These products will be priced at a premium to the face value. 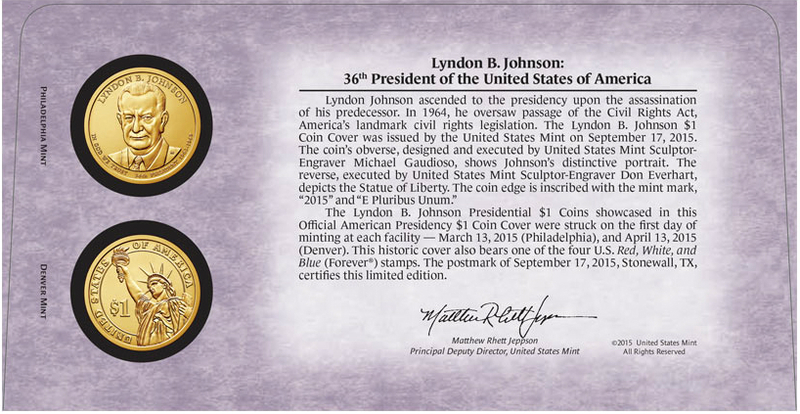 Additional proof and uncirculated versions of the coins will be incorporated into other annual numismatic offerings. 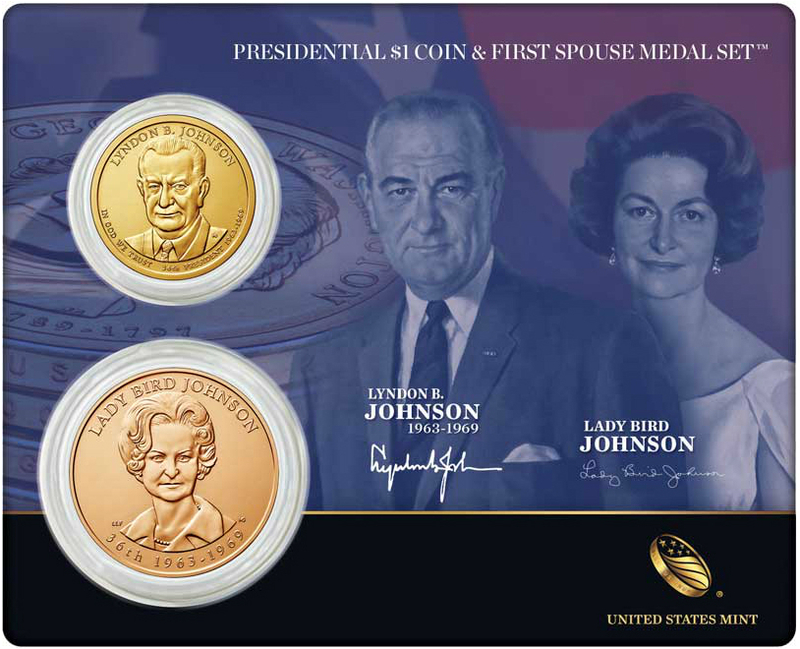 A 2015 Lyndon B. Johnson Coin and Chronicles Set has also be scheduled for release. Lyndon Baines Johnson (August 27, 1908 – January 22, 1973), often referred to as LBJ, was the 36th President of the United States from 1963 to 1969, assuming the office after serving as the 37th Vice President of the United States from 1961 to 1963. Johnson was a Democrat from Texas, who served as a United States Representative from 1937 to 1949 and as a United States Senator from 1949 to 1961. He spent six years as Senate Majority Leader, two as Senate Minority Leader, and two as Senate Majority Whip. Johnson ran for the Democratic nomination in the 1960 presidential election. Although unsuccessful, he was chosen by Senator John F. Kennedy of Massachusetts to be his running mate. They went on to win the election and Johnson was sworn in as Vice President on January 20, 1961. Two years and ten months later, on November 22, 1963, Johnson succeeded Kennedy as President following the latter's assassination. He ran for a full term in the 1964 election, winning by a landslide over Republican Arizona Senator Barry Goldwater. He is one of four people who have served as President and Vice President, as well as in both houses of Congress. Johnson designed the "Great Society" legislation upholding civil rights, public broadcasting, Medicare, Medicaid, aid to education, the arts, urban and rural development, public services, and his "War on Poverty". Assisted in part by a growing economy, the War on Poverty helped millions of Americans rise above the poverty line during Johnson's presidency. Civil rights bills signed by Johnson banned racial discrimination in public facilities, interstate commerce, the workplace, and housing; and the Voting Rights Act banned certain requirements in southern states used to disenfranchise African Americans. With the passage of the Immigration and Nationality Act of 1965, the country's immigration system was reformed and all racial origin quotas were removed (replaced by national origin quotas). Johnson was renowned for his domineering, sometimes abrasive, personality and the "Johnson treatment" — his aggressive coercion of powerful politicians to advance legislation. - Passage of the Civil Rights Act of 1964, the Voting Rights Act of 1965 and the Open Housing Act of 1968. - Passage of legislation creating the National Endowments for the Arts and Humanities. - Passage of the Highway Safety Act. - Passage of the Public Broadcasting Act. - Passage of the Social Security Act of 1965, which created the Medicare and Medicaid programs. - Launching of Apollo 8, the first manned spacecraft to orbit the moon.